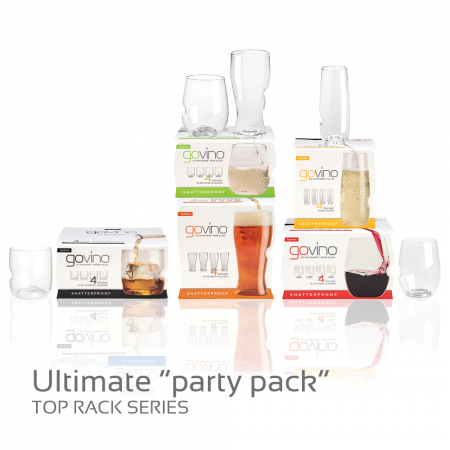 Mix’N’Match our Govino products to suit your ‘Ultimate Party’. 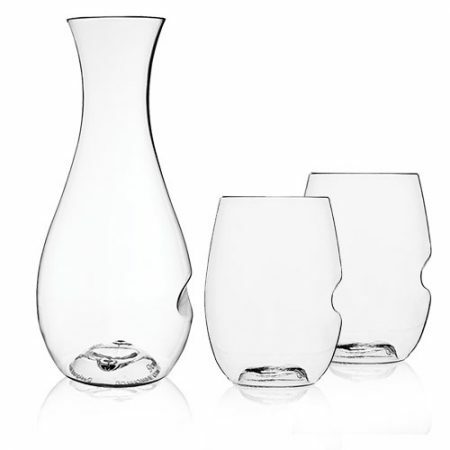 Choose 2 Red Wine, 2 White Wine and 1 Decanter or 4 Beer Glasses and 1 Champagne Flutes… It’s your choice ! 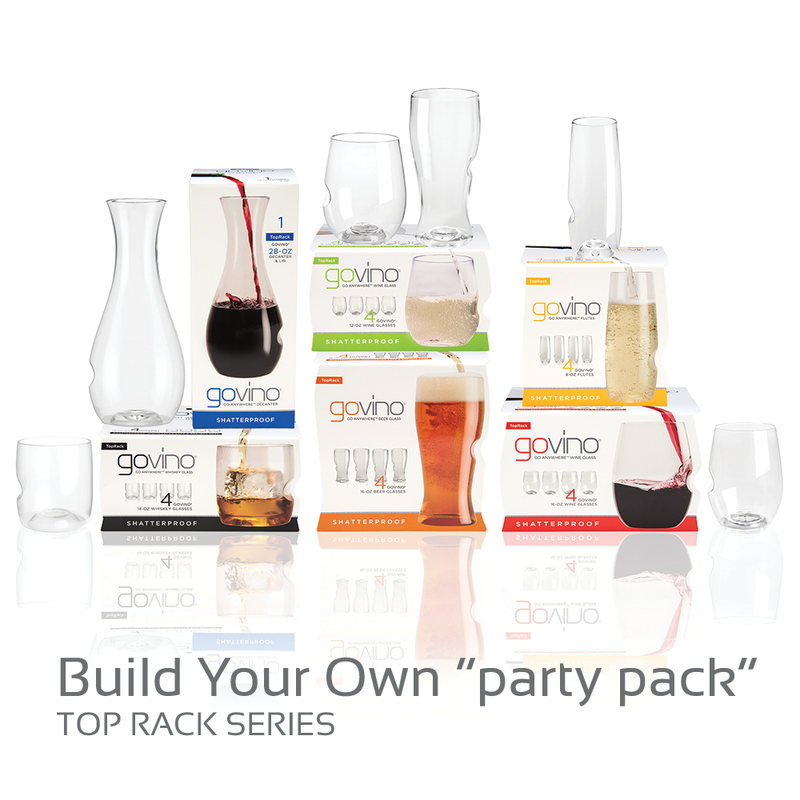 Each Party Pack contains 5 of our Govino Totes. You choose which ones. 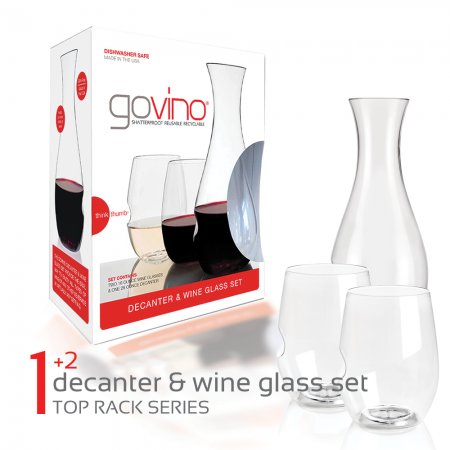 Each 4 Pack Tote contains 4 Glasses or Decanter is a single Tote. The ‘NEW’ Dishwasher Safe series has been designed to be washed in the ‘Top Rack’ of most Household Dishwashers. This can be verified by the embossing on the bottom of the glass. DESIGNED IN CALIFORNIA – US PATENTS 7,273,147 AND D577,547 AND US AND FOREIGN PATENTS PENDING.